On March 31, 1931, the plane carrying Notre Dame's famous football coach, Knute Rockne, and H.J. Christen, J.H. Happer, W.B. Miller, Charles A. Robrecht, Spencer G. Goldwaite, Robert Frye, and Jess Mathias, crashed near Bazaar in Chase County, losing all lives. 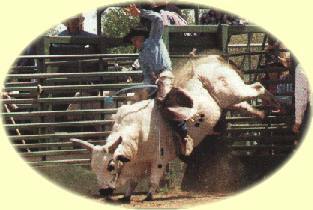 The Flint Hills Rodeo is the oldest consecutively run professional rodeo in the state of Kansas. The top cowboys and cowgirls from throughout the midwest compete each year for over $50,000 in six traditional rodeo contests. Plan a spring trip to the "heart of the Kansas Flint Hills"